I don’t think there has been one gig I’ve played with Big Tuna that someone hasn’t asked me the obvious question. “Big Tuna, that’s mental, what does it mean ken-like-pal!”, which of course is a Fifeism for friend or neebour. Or “Big Tuna, that’s like rub……. (long pause) pretty good min or buddy. So where did the name “Big Tuna” actually come from? And the answer? Well depending on what kind of state the punter is in, depends on the story I tell them. So here’s the truth, or perhaps how I seem to remember it with my slightly selective memory. There was a time when we first got together and did our first few gigs (without a bass player I might add) that we had no name. It was a bit odd to say the least. After the gigs people would say they liked us and would ask us what were called. Now our drummer is never stuck for words, but without a name, there was really nothing to say. We tried the obvious names that everybody has in their head if they were famous, but they were all basically shite. I had about ten names, so did Lee, but Bill (drummer) just kept on going and going. The more he spewed out, the shittier they were. We tried the Band Name Generator, but to be honest, if you want some beauties, just turn off your spam checker for a little while and you’ll soon see some. Now I kid you not, this whole process from start to finish took about three months before we all agreed on one. So everytime we got together, we would fire through more ones we had thought of, but nothing was sticking. I have to say at this point, it was easier to choose the names for my kids than it was to agree on a band name, even with pushy relatives in the room. The name choosing sessions became as long as the jams we had. I seem to remember we had nailed quite a few songs in the time we had taken to choose a name. Looking for inspiration, we all started raking through Lee’s massive video collection, reading through credits, actors names and anything else we could find. Still nothing. The final choice came from a combination of us being fed up, exhausting everything by not agreeing and a total act of randomness from Mr Billy Bongo (yep the drummer), whose favourite film was the setting for our new band name. 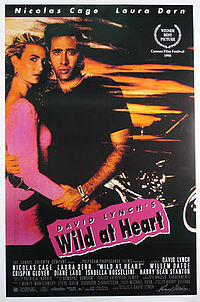 In order for us all to agree, we had to watch the film Wild At Heart directed by David Lynch. In the film there is a small town where the main character heads to meet up with an old friend. if you’ve never seen it, check it out, Willem Dafoe is superb and the film is well worth watching. Needless to say, after watching the film, we all agreed and so the band name Big Tuna was born, named after that very town in the film. Sometimes random is best! And that is the truth, the whole truth and nothing but the truth, as far as I can remember anyway. This entry was posted in Starting a rock band and tagged band names, big tuna, choosing band name, david lynch, wild at heart. Bookmark the permalink. One Response to "How to choose a name for your rock band – kind of!" Couldn’t agree more about ‘Wild at Heart’. It’s a superbly stylish movie which tends to get overlooked in favour of its creepier big brother, Blue Velvet. The movie’s awash with great band names. or my personal fave: Stab it and Steer!